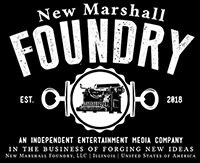 ©2004-2018 New Marshall Foundry, LLC. DEATH WALKS THE STREETS™ was originally created by James Zahn. All related characters and elements are trademarks and property of New Marshall Foundry, LLC. All Rights Reserved.